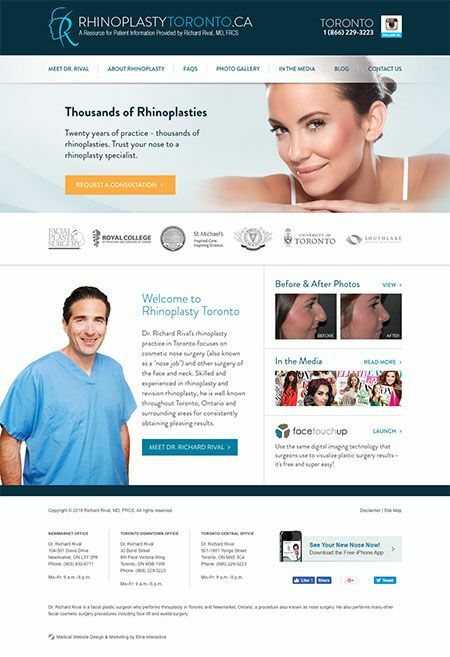 Revision rhinoplasty patients in the Toronto area who are unhappy with the results of a previous surgery can rely on Dr. Richard Rival, a specialist in these complex procedures. Whether you didn’t achieve the cosmetic results you had hoped for or you have developed a breathing issue after your initial rhinoplasty, Dr. Rival can use his expertise to find a solution. Revision, or secondary, rhinoplasty encompasses any procedure performed to deal with problems that occurred following an initial rhinoplasty surgery. Those issues can range from being fairly minor to more complicated internal problems that cause difficulty breathing. 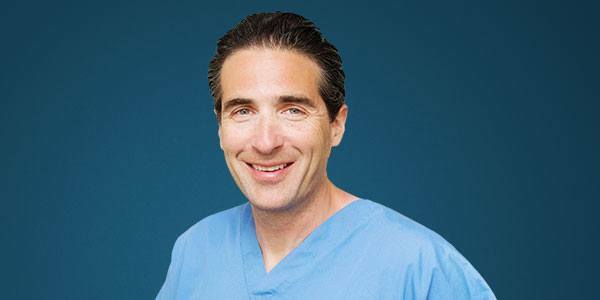 Dr. Rival has an extremely high success rate for initial rhinoplasty surgeries and very rarely sees his own nose job patients return to his Toronto practice. However, because of his expertise, he sees many revision patients who had their initial surgeries at other practices. It’s important to see a specialist for a revision procedure because it is more complicated than the original nose surgery. Multiple surgeries can change the nose’s normal anatomy, and revision rhinoplasty involves carving out nasal structures encased in scar tissue that forms after the initial procedure. Dr. Rival’s experience as a revision rhinoplasty specialist allows him to assess the specific problems caused by the previous operation and devise a custom surgical plan to correct those issues. To accurately gauge the necessary corrections, Dr. Rival recommends that patients wait until a year after the initial surgery before undergoing a revision procedure. Because the issues leading to revision surgery vary, so too does Dr. Rival’s surgical approach. Sometimes a surgeon removes too much tissue during the prior surgery, requiring Dr. Rival to rebuild the nasal structure using grafts (pieces of cartilage either from the nasal septum, ear, or rib). In most case, Dr. Rival prefers to use the patient’s own cartilage, but some patients may be better candidates for synthetic implants or even injectable fillers such as Restylane® or RADIESSE®. For other patients, Dr. Rival may need to remove more tissue or cartilage if the previous surgeon was too conservative, or he may take steps to correct asymmetry. Regardless of your concern, he will take an approach that leads to the natural-looking results you wanted from the start. Because revision rhinoplasty is typically a longer, more complex procedure, it costs slightly more than primary rhinoplasty. Your actual cost will be determined after an in-person consultation, but the typical cost for revision rhinoplasty with Dr. Rival is $8,500-$10,000 (+HST). The recovery following revision rhinoplasty is similar in many ways to the experience after your initial operation. The nature of the correction needed and the extent of revision performed are factors that could influence the duration of your recovery and your comfort level. As with your primary rhinoplasty procedure, the full results of revision rhinoplasty usually take a year to be completely revealed. This is especially true when extensive work is performed on the tip of the nose. Dr. Rival talks to each patient about having realistic expectations and understanding that each person recovers at their own rate. If you’re considering revision rhinoplasty in the Newmarket or Toronto areas and need an experienced nose surgery specialist, request a consultation with Dr. Rival or call us toll-free at (866) 229-3223.